A tipster pointed to former Apple cartographer Nathaniel Kelso, who left his position in May after two years on the job and took up with Mapzen in June as the firm's chief cartographer. Prior to working at Apple, Kelso was a design technologist at Stamen Design. Another former Stamen designer, Geraldine Sarmiento, also joined Apple in 2013 and jumped to Mapzen within the past two months. 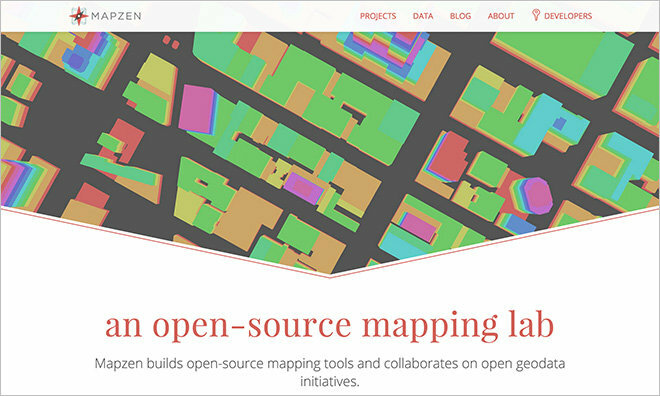 According to its website, Mapzen is dedicated to building a "healthy mapping ecosystem" through open source research and development. The lab is attached to Samsung Accelerator, the Korean tech conglomerate's experiment into cutting edge software and services. With Kelso and Sarmiento, it appears Apple hired a handful of Stamen staff to help with Maps shortly after the service debuted in iOS 6, an ignominious launch criticized for incorrect positioning data, poor routing features and 3D Flyover rendering issues. Kelso came on in June 2013, six months after the introduction of Maps for iOS. With a fairly mature set of 2D mapping assets, Apple is shifting focus to build-on services like Flyover, point-of-interest enhancements and features not available on rival platforms. Most recently, the company confirmed ownership of sensor-laden vans spotted throughout the U.S. and Europe, saying the vehicles are being deployed to improve Apple Maps. With a profile and equipment list similar to Google's Street View cars, some speculate Apple's vans are collecting data for a an in-house photo-based navigation service. Taking the new direction into consideration, it is likely that Kelso, Sarmiento and other recent Maps team departures are simply moving on after successfully helping Apple get its mapping service off the ground. As for Mapzen, Samsung's intentions for the open source project are unclear, but it is conceivable that technology gleaned from ongoing research will make its way into first-party software, perhaps as a whole-cloth mapping solution to go along with the open-source Tizen operating system. Mapzen did not return a request for comment. Neil Hughes contributed to this report.